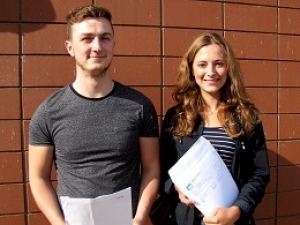 The Maelor School have achieved outstanding A level results with every student in year 13 achieving the Level 3 threshold (2 or more A levels). The number of A* and A grades has further increased and 84% of A levels taken achieved grades of A*-C.
The Headteacher Simon Ellis commented "We are very proud of our students successes and we are delighted that so many of them have achieved their potential with the best available grades. All the staff and governors at the school with them success with their chosen courses at university".